Chios is the 5th largest Greek island. It belongs to the Eastern Aegean group of islands and is situated very close to Turkey. It is traditionally Greek, off the beaten track and not overrun by tourists. Generally speaking hotels are simpler and family run. There are a few tourist shops and the visitor can experience authentic Greek hospitality. The island can be reached either by sea or by air. The trip by ferry from Piraeus can take up to 8 hours and there are daily departures. It takes approximately 45 minutes to fly to Chios and there are daily flights from Athens. There are also regular ferry connections with the islands of Samos and Lesvos. Local boats also operate to the nearby islands of Kos, Rhodes, Patmos, Lemnos and Cesme across in Turkey. Local buses connect the main towns of Chios, but if you wish to explore the island and discover its many natural beauties hiring a car or a motor bike is recommended. Getting to Chios. Chios is a friendly island and the locals welcome the visitors who are mostly Greeks. The island is home to a rich historical heritage and has a long maritime history, which has played a very important role in the economy of the island. The island is famous for its countless chewing gum trees (mastic trees), its pretty towns, traditional villages and beautiful beaches. Mostly unspoilt Chios is ideal for those who seek a quiet holiday and wish to experience an authentic local culture. More about Chios Attractions. Chios is popular among Greeks as a summer resort somewhat less popular with foreign tourists meaning it offers a great opportunity to experience the ‘real’ Greece. The island is renowned for its most important resorts and the mastic or ‘chewing gum’ tree. Other popular economic industries on the island including farming, fishing or working on ships. The famous Eugene Delacroix painting of the massacre of Chios depicts the Turkish revolt and is now displayed in the Louvre in Paris. 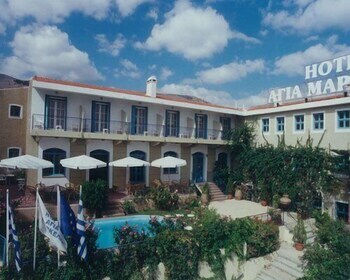 Traditional Boutique Hotel " IANTHE "